Horror master Wes Craven is back with another scary film called My Soul To Take. Although some of here are not big fans of 3D, we will still give due respect to the man responsible for the original Nightmare on Elm Street, Scream and so many other great horror films. Craven knows his way around the horror genre and with this new film he’s telling a new story in a new way. To illustrate that, we’ve got a clip from the film to share with you today that’s almost two minutes long. To set it up, this film concerns a serial killer who swore he would return to murder the seven children born the night he died. Now, 16 years later, people are disappearing again. Has the psychopath been reincarnated as one of the seven teens, or did he survive the night he was left for dead? Only one of the kids knows the answer — and you might also from this clip. Click through to check out the scene after the jump. My Soul to Take, which features Max Thieriot, Denzel Whitaker, Zena Grey and Emily Meade, hits theaters tomorrow. This year has been pretty quiet for horror films so far. The beginning kicked off with Shutter Island and Wolfman, but after that, things seemed to slow down. Now we’re getting ready for the big summer rush, and one film that could fall into the “blockbuster” and horror category is the remake of A Nightmare On Elm Street, which hits theaters in 2 weeks. Lots of die hard fans of the original were pretty upset when they heard that the beloved classic was getting the typical Hollywood reboot, until they saw the trailer. Music Video director Samuel Bayer managed to capture the essence that made the original Wes Craven films truly horrifying. 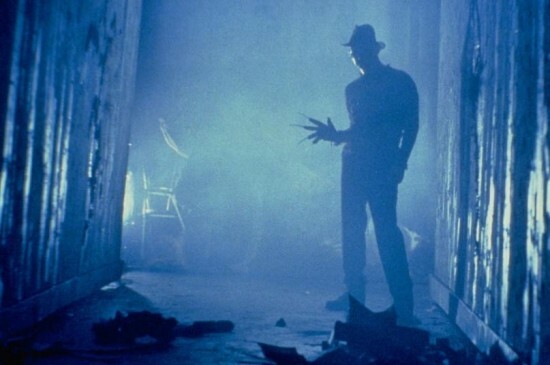 That emotion is amplified even more when we got a glimpse at Jackie Earl Haley (Watchmen) as Freddy Krueger. Check out a brand new clip, entitled “All you have to do is dream”, after the jump. Be sure to catch A Nightmare On Elm Street in theaters everywhere on April 30th.